It’s not easy to find search marketing firms that get conversion, the part of the search marketing process that puts money in your pocket. Globe Runner SEO is one of those firms that gets conversion. 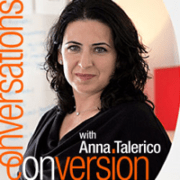 Notice the questions they ask and the focus they have on conversion in this brief interview. Here we dive into the kind of conversion strategy you need if you have a considered (long) sales cycle or a high-repeat business: relevant, frequenty, easy email. Pardon my loopiness. I had just finished presenting to the amazing DFWSEM group. Check them out. Join The Conversion Scientist by Email to see how it is done. Relevance and frequency sound good. I also like gracious and tenacious.